Energetic Healing (aka vibrational healing) assists movement by working with life force energies. This natural healing is taught in hospitals and clinics across the country and around the world and compliments a total health plan which may involve traditional and alternative programs. It is a holistic, non-invasive technique that heals on all levels of the body, mind and spirit. Energy healing often enhances other modalities of healing, alleviates pain and has been proven to reduce stress in both humans and animals. Anna is a gifted, uniquely experienced, and internationally respected healer who conducts private sessions worldwide. Her work initiates and accelerates the healing process while activating the energies of one's highest, spiritual potential. Anna’s abilities allow her to clearly connect with the vibration and co-creative essence of a person, place and both wild and domestic animals. Horses are able to communicate their acceptance and need for hands-on healing and will benefit from either a personal visit or long-distance healing. The first meeting may involve a private consultation and the duration depends entirely on each individual’s needs. During or following the session a client may experience a wide range of physical sensations (also known as registers), visions, thoughts, and emotions. Shifts on many levels may be experienced moments, days, weeks, or even months afterwards depending upon the client’s active participation in, and intention toward, their healing commitment. 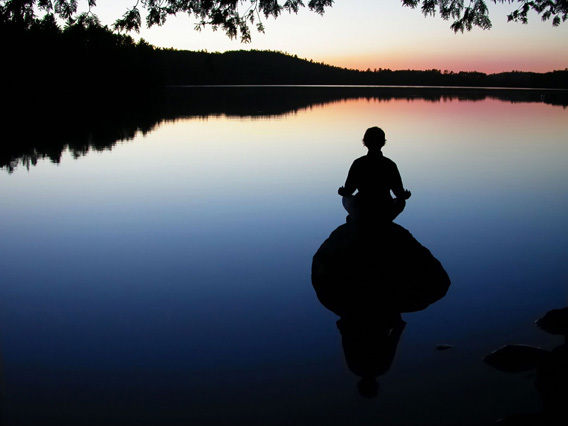 Private sessions are offered in person or by distance healing. The duration of each session varies, but lasts about an hour. A distance session is virtually the same as the above but can be done in the comfort of your home without physical contact as the work is done on subtle, causal, energetic levels. Reiki, translated from Japanese as "Universal Life Force", is quickly becoming one of the most popular alternative healing modalities in the world. Already used in clinics, private practices and hospitals around the globe, people are waking up to the amazing benefits that Reiki can provide. Through Anna's fun, powerful and nurturing style she will guide you to your full potential and help you discover what you might never even have thought possible! Whether you're new to Reiki, feel it's time to take the next step, or you want to take your Reiki practice to the next level, this is the workshop you've been waiting for. 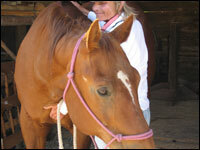 One of Energy healing's most effective uses is in the healing of horses. Horses, and animals in general, are great clients for energy work because they don't have any preconceived notions or skepticism that often get in the way of human receptivity. An animal is simply present to the experience. If it likes it, it likes it, and if it doesn't, it leaves: Simple as that. No Prerequisite! This class is now open to everyone who wishes to bring an energy healing practice to the horses and other animals to benefit our fellow planetary companions. If you feel you are ready to take this life-changing step into Reiki Mastership, contact Anna directly for more information. Contact Anna directly for more information. If you are new to the healing powers of Reiki you might be thinking, as I did when I first heard about it, “What is this all about, you can’t really heal anything with energy!” Well, as I soon discovered, the only limitations that Reiki has are the ones I imposed on it. And as I began to actually experience and use this amazing healing tool, a whole new world opened up to me and my life was forever changed. Click here to read the rest of the article. Watch Reiki Healing for Horses in Action on YouTube! The Founder of Reach Out to Horses®, Anna Twinney, returns once again for another exciting adventure at the historic Bitterroot Ranch. Join Anna for a life-changing weeklong experience you will not find anywhere else in the world! SUNDAY: Arrive at the Bitterroot Ranch in the afternoon and prepare for your first of many mouth-watering family style dinners. TUESDAY: T.L.C. – Trust-Based Leadership and Compassionate Communication. If you have been searching for a more evolved horsemanship method, if you want to take your skills and your relationship with your horse to a deeper level, then spend a day in Anna’s world! On Day Two you will examine some of the most important elements in creating a trust-based relationship with your horse in-hand and getting the results you've always wanted but haven't been able to consistently achieve. Set yourself up for success as you learn relaxation exercises, boundaries & appropriate leadership skills to keep you safe during a Reiki – energy healing for horses – session. 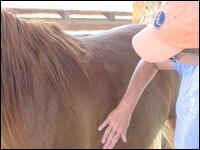 These same exercises create a space for the horses to heal and overcome behavioral “problems”. WEDNESDAY & THURSDAY: The Art of Healing. Next you will go on a comprehensive journey into one of the most popular healing arts in the world today. Originally developed in the early 20th century, Reiki, translated from Japanese as "Universal Life Force", is already used in clinics, private practices and hospitals around the globe. As if that wasn’t enough, the afternoon trail rides will give you a chance to relax and enjoy the magnificent landscape that is the Bitterroot Ranch. FRIDAY: Healing Horses. 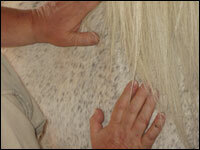 Horses love Reiki. Horses, and animals in general, are great clients for energy work because they have no preconceived notions or skepticism that often get in the way of human receptivity. An animal is simply present to the experience. If it likes it, it likes it and if it doesn't it leaves: Simple as that. Horses in particular create a space for you to learn the language of energy and their responses and acceptance is reflected instantly. 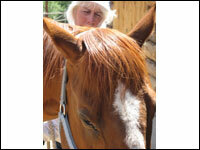 Anna will share her personal discoveries and how she developed Reiki for Horses. SATURDAY: Sign up for the famous Bitterroot Ranch picnic trail ride or relax on the grounds and practice your new Reiki skills. SUNDAY: One last delicious breakfast while you say goodbye to the wonderful new friends you’ve made and then it is time to return home to take your new skills back to your own horses. Through demonstrations, lectures and exercises you will experience first hand how all contact with your horse; your intentions, your body language, your energy and more, form a communication system. You will learn how to gain trust with your horse while training; read, assess & attune to your horse; establish a clear communication; identify & understand how horses talk through body language; build a partnership for competition, pleasure riding and more. And by the end of the week you will see your horse, yourself and your world with completely different eyes! Clinic Dates: June 2nd - 9th, 2019 - SOLD OUT! Cost: – $2,247.00 ($2,147.00, Early Bird Special, by April 30th) Includes workshop, meals, lodging (double-occupancy), all fees & taxes. 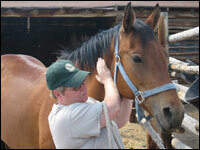 A deposit of $947 ($847 for Early Bird Special by April 30th) to Reach Out to Horses is required to reserve your spot. Deposit applies only to workshop cost. 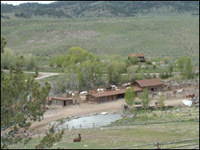 To make your accomodations reservation at Bitterroot Ranch contact Hadley at bitterrootranch@wyoming.com. Cost: $2,700 (Early bird price if you register by April 30, $2,800 after) - A deposit of $1,400 to Reach Out to Horses is required to reserve your spot if you register by April 30th, $1,500 after. Deposit applies only to workshop cost. 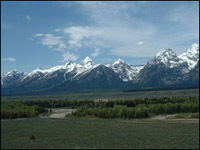 To make your accommodations reservation at Bitterroot Ranch contact Hadley at bitterrootranch@wyoming.com. * Remember, Reiki is not intended to be a substitute for Western medicine and a physician or vet should always be notified in cases of illness and concern. But it is a powerful tool and can assist on many levels of healing. ** To participate in the Healing Horses Reiki Master program, you must have previously completed Reiki I & II attunements and have express permission from Anna. Disclaimer: These modalities of healing and education are designed to enhance the healing process and not intended to take the place of good medical and veterinary care.